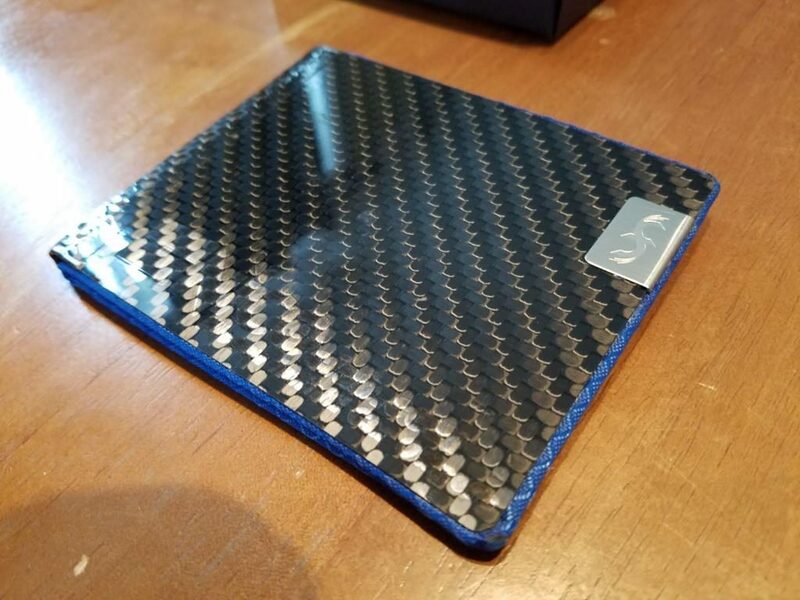 Last month, I was fortunate enough to meet Ann, one of the owners of a really cool company that’s doing some amazing work with carbon fiber… Common Fibers is a custom carbon fiber products manufacturer in Kent, WA. 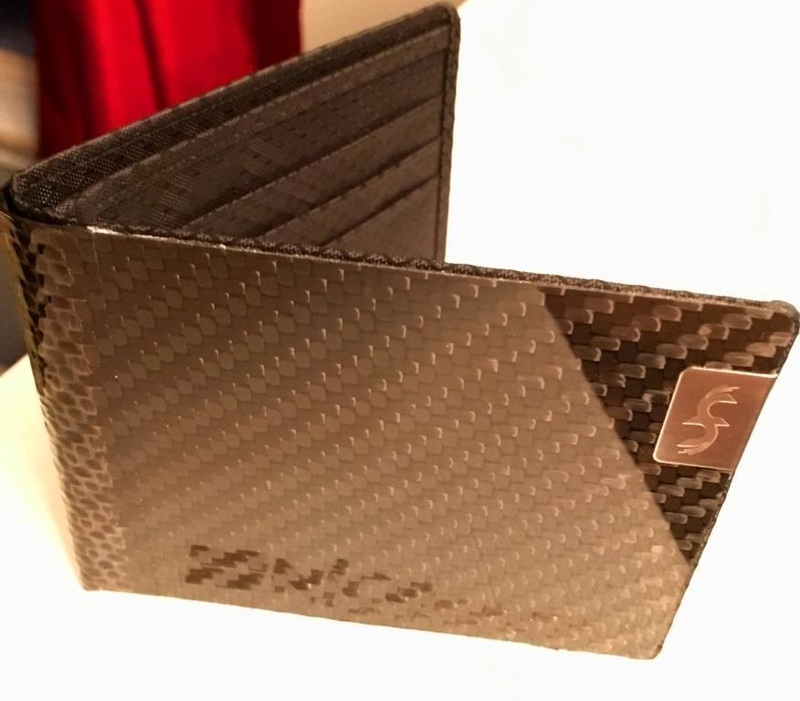 They create bespoke wallets for discerning guys (and gals). 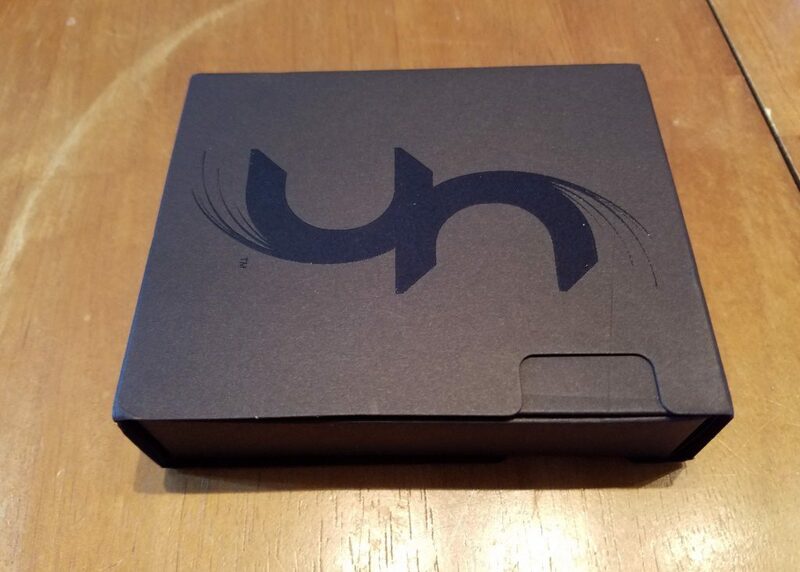 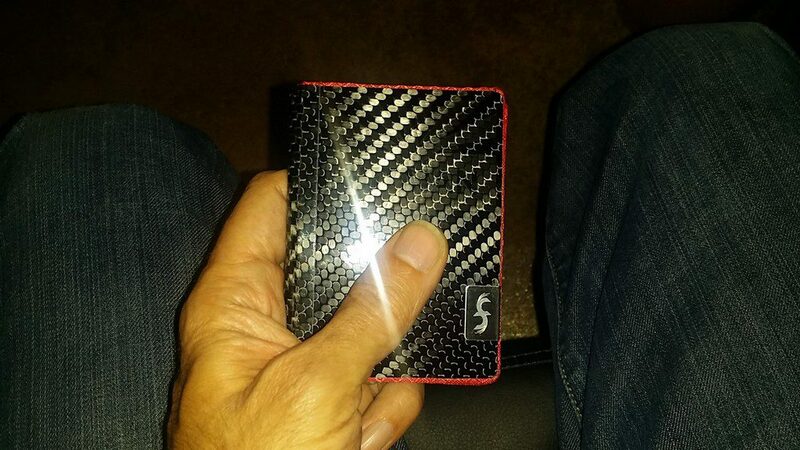 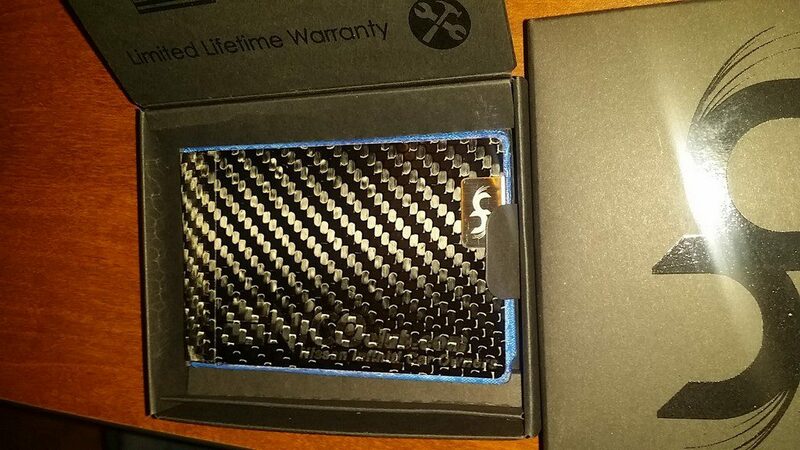 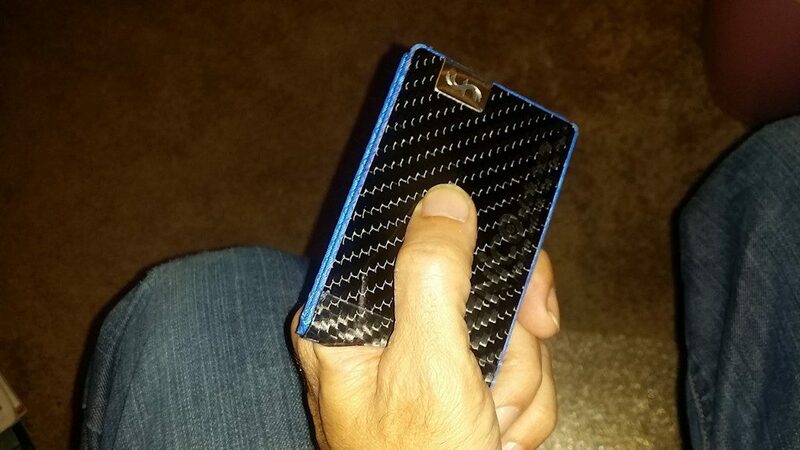 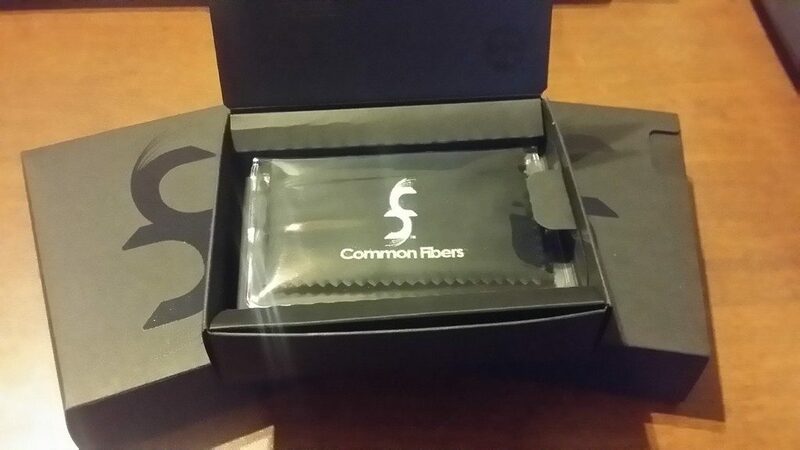 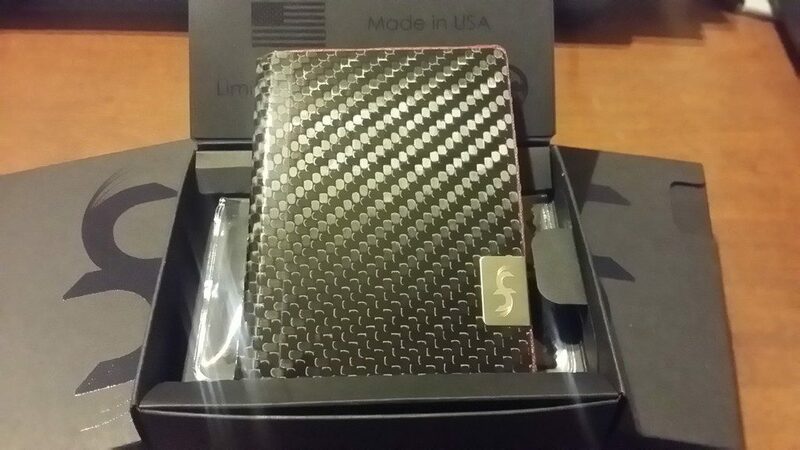 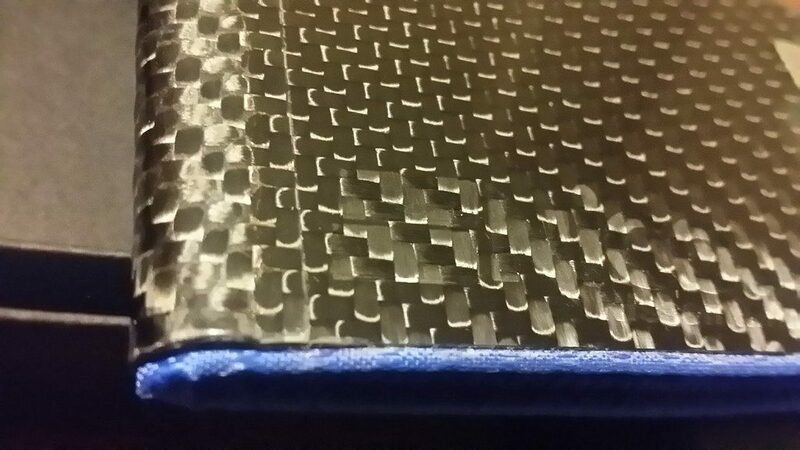 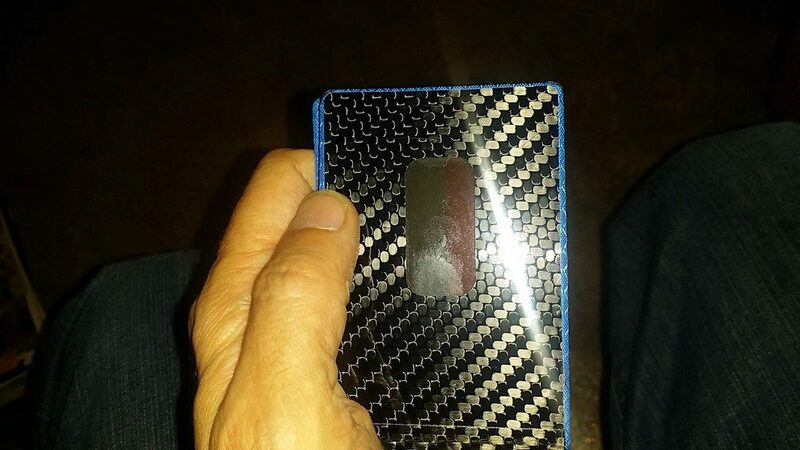 Above and beyond the obviously impressive look of a high-quality carbon fiber wallet, Common Fibers also has the ability to customize or brand your wallet in many different ways. 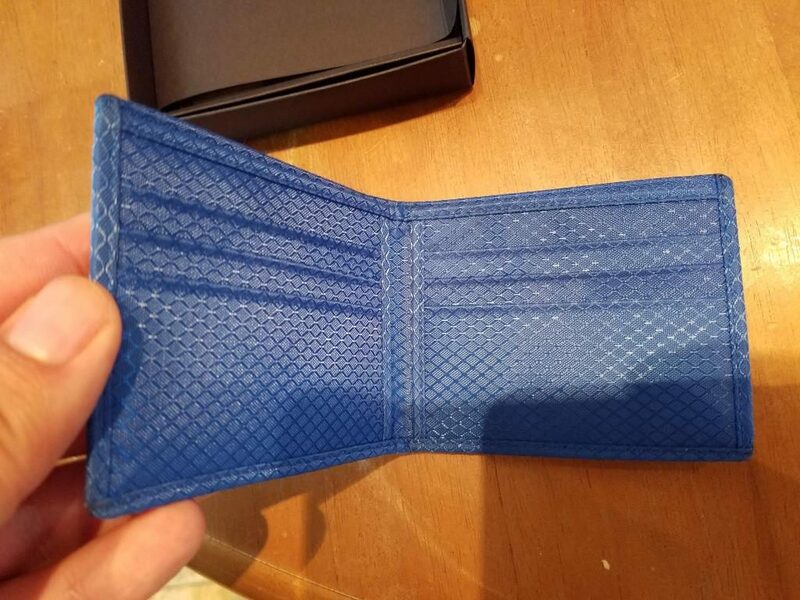 So, say you want to buy that special someone a unique, personalized wallet – You can have custom embroidery added to the inside fabric, a custom metal tag on the exterior, or even laser engraving on the exterior of the wallet. 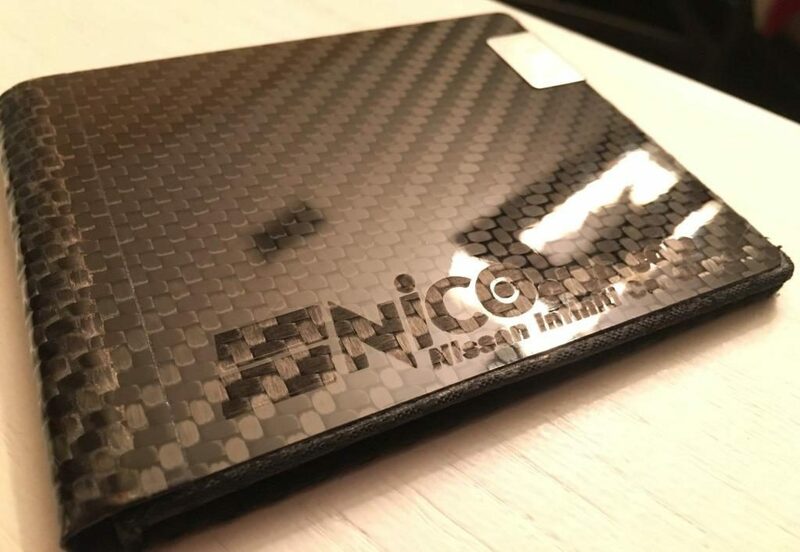 Since their target market and our demographic are one in the same, we thought it would be cool to explore some of the personalization options Common Fibers offers, and perhaps even create a Limited-Edition NICOclub series of wallet designs! 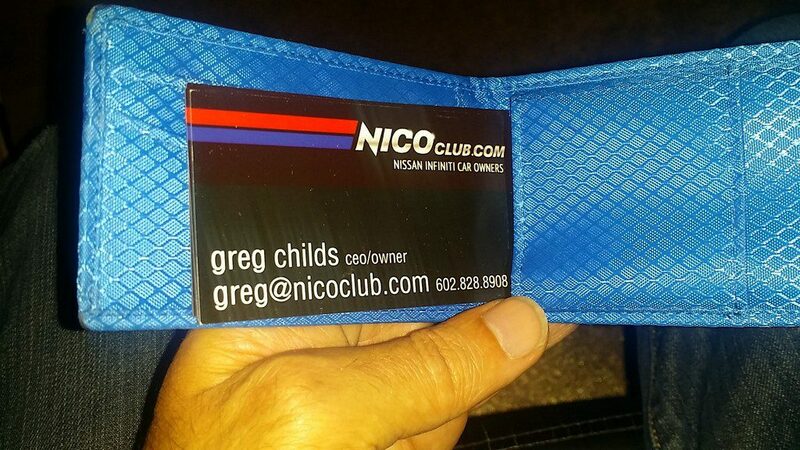 My wife had been bugging me to replace my old, ugly leather billfold with something new, cool and ‘hip’ – so Ann and I came up with the prototype for a NICOclub wallet design. 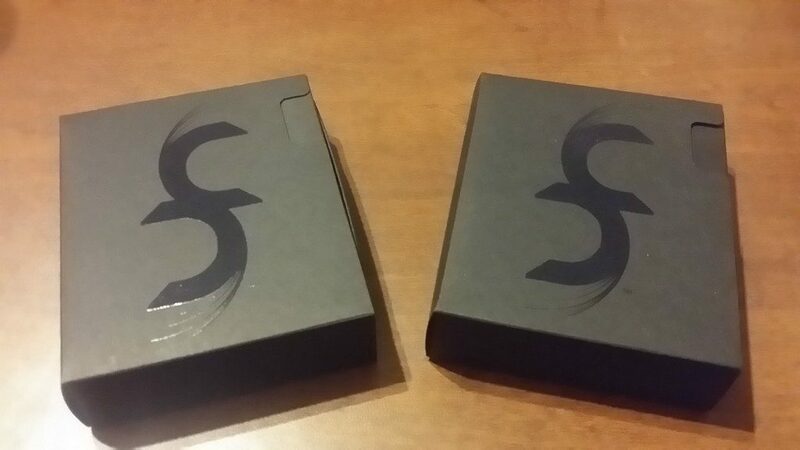 A couple days later, my custom wallet arrived… These are gorgeous! 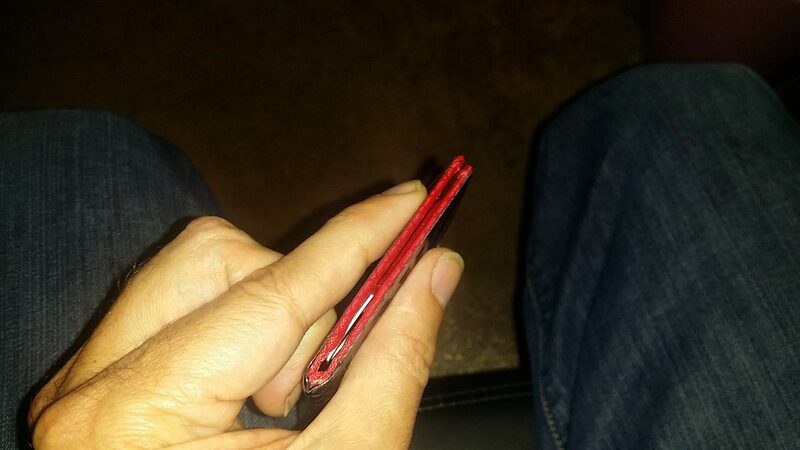 Since I’m not a big guy, I don’t like a bulky, heavy wallet. 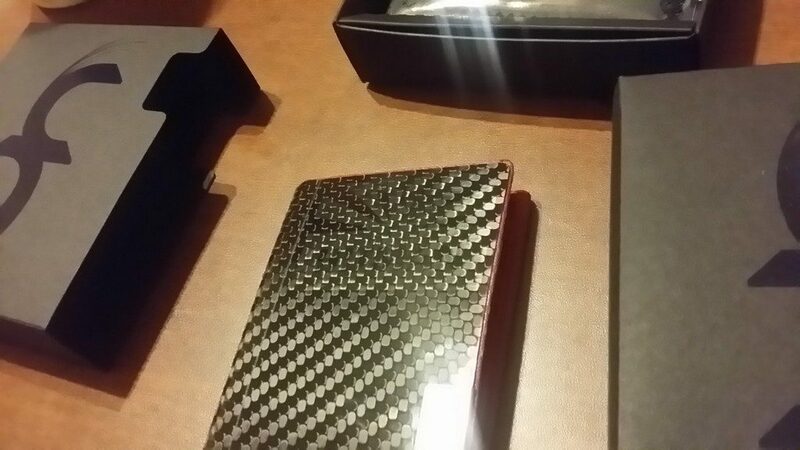 I selected the SLM model. 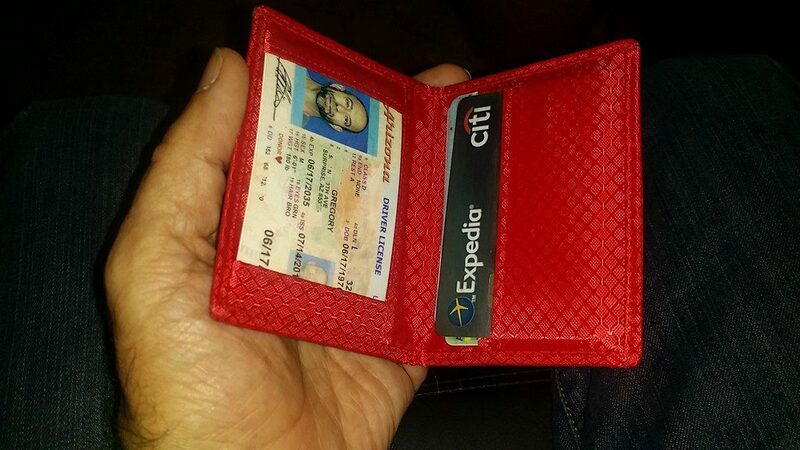 It’s got room for a few credit cards, my ID, a few bills folded and tucked away, and a business card or two. 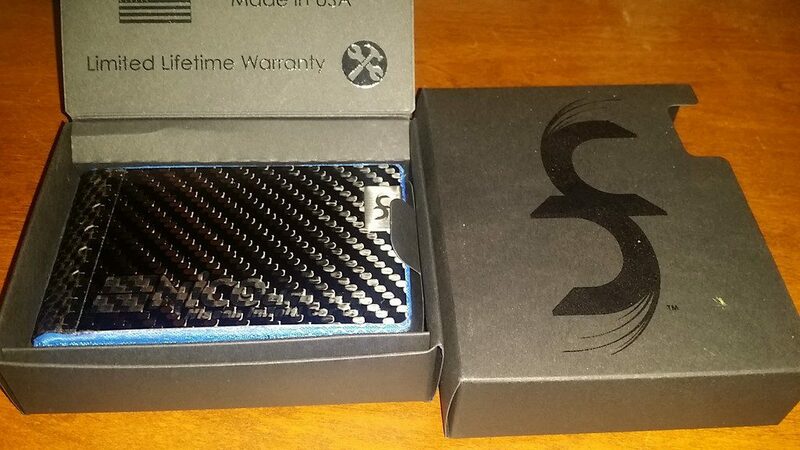 Minimal thickness, maximum function. 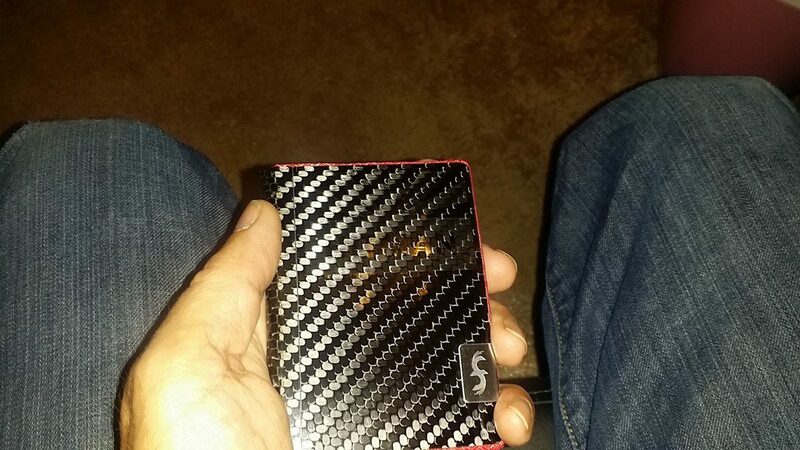 I’ve gotten a lot of compliments on it already. 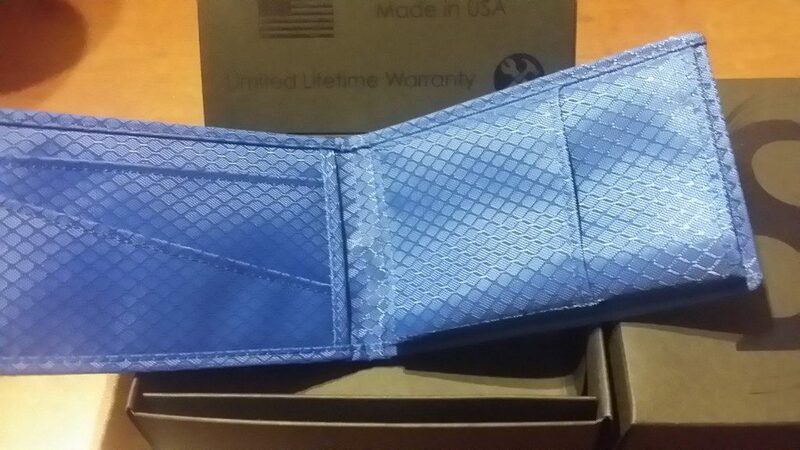 I’m still finding little details I dig about it, but I am totally in love with the thinness, and the inner lining design – so sharp! 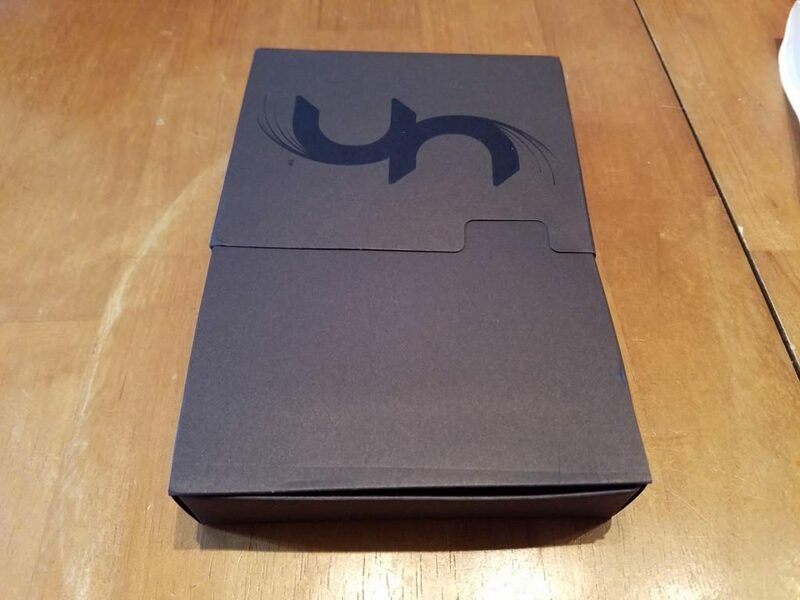 “But wait, there’s more!” As a business owner, there are times when I really need to have a supply of business cards on hand, but don’t need to carry the rest of my stuff – That’s where the BIZ model comes in, and I have one of those now as well. 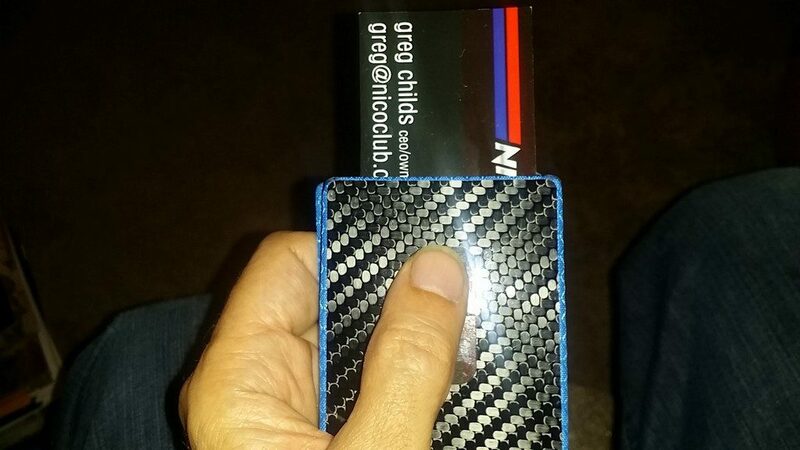 I can tuck 20 business cards in it and distribute one with a flick of my thumb, without opening the wallet. 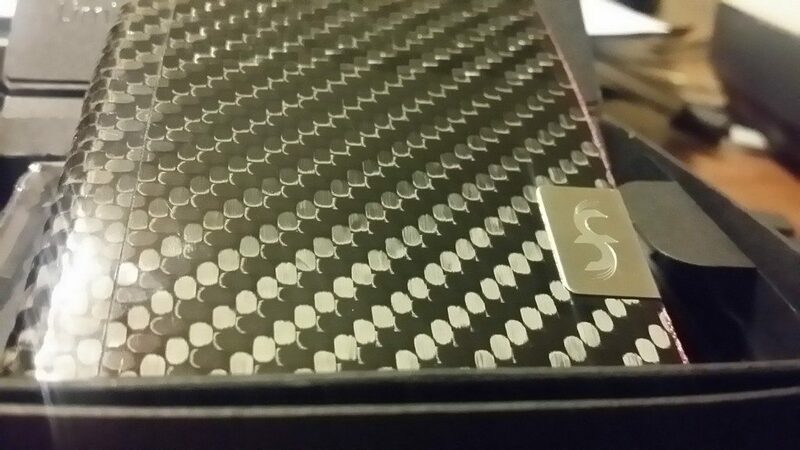 My business cards stay clean and straight, and I’m not fumbling with a binder clip or a rubber band like some rookie. 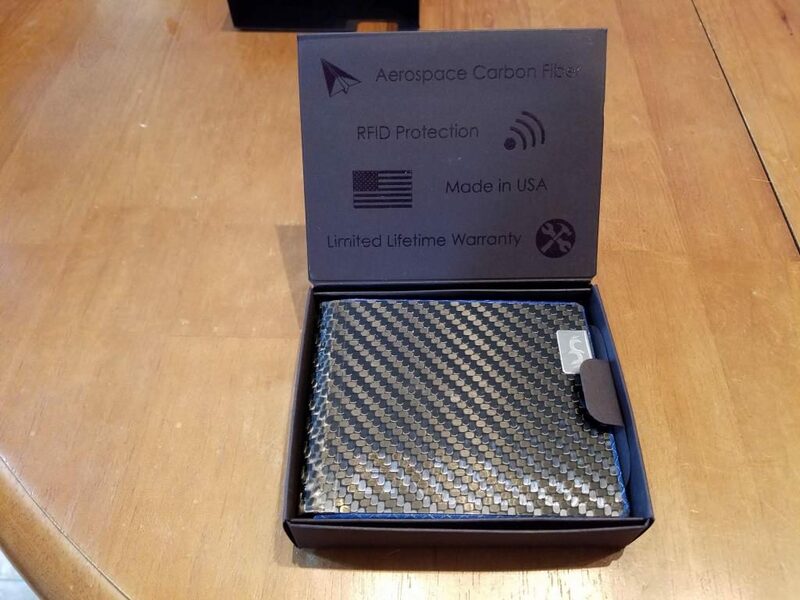 This solution is the real deal, and it’ll go with me anytime I go to an event, trade show, or anyplace I’m likely to conduct business.